Massage sticks are portable personal massage devices that allow you to massage yourself anywhere, anytime. They are great for muscle recovery because they can target sore muscles and even prevent cramps, pain, and injuries. They can improve flexibility, strength, circulation, blood flow, and endurance. They can also eliminate knots and tightness throughout the body, provide myofascial release, and physically de-stress the body. 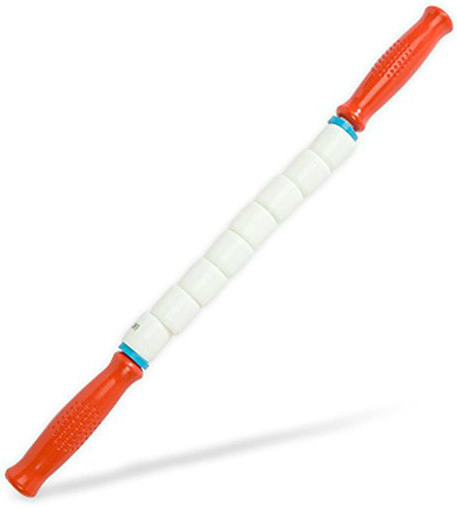 Massage sticks are portable muscle roller sticks that can be used before or after exercise. They are an ideal tool for physical therapy and many people get the same effects as a professional massage. They are commonly recommended by physical therapists, massage therapists, professional athletes, and personal trainers. Muscle massage rollers can be used on nearly any area of the body to lengthen, strengthen, and relieve sore muscles. To use, grip both ends firmly. Rub the stick up and down across the lengths of your muscles while applying pressure with your arms. 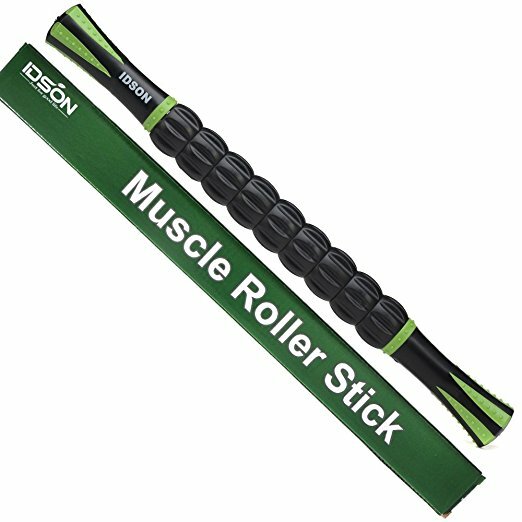 Amazon's #1 best-seller in manual massage sticks, the compact 18-inch Idson Muscle Roller Stick for Athletes can help with recovery on the legs, back, head, and feet. The water-resistant muscle roller massager offers relief from muscle soreness, cramping, and tightness. The body muscle therapy massage roller stick can also improve tissue recovery, circulation, and strength. It decreases neuromuscular hypertonicity, decreases the overall effects of stress on the movement system, and can even reduce trigger point sensitivity over time. It is made of industrial strength materials and features an ergonomic grip and nine therapeutic spindles to address most muscle groups. This is Amazon's Choice for massage sticks and one of Amazon's top "Gift Ideas" and "Most Wished For" items. It is also one of the top rated items with more than 1,500 five-star reviews on Amazon. It is built to last for life and includes a money-back satisfaction guarantee. It is also frequently recommended by athletes, personal trainers, physical therapists, and chiropractors. The compact 17-inch Stick Travel Stick offers trigger point therapy with maximum compression of the muscles. It can also help aid muscle recovery and pain, while improving flexibility. It is made with a space-age plastic, has comfortable handle grips, and a series of spindles, which roll independently over the muscle. The therapeutic body massage stick is available in various sizes. It is an Amazon's Choice product and one of the top rated products with more than 2,000 five-star reviews on Amazon. It comes with a 90-day satisfaction guarantee and a one-year manufacturer's warranty. The compact 18-inch Original Tiger Tail Massage Stick allows you to enjoy massage therapy on-the-go. It can help relieve sore muscles, improve recovery and mobility, increase blood flow, and prevent pain and injuries. 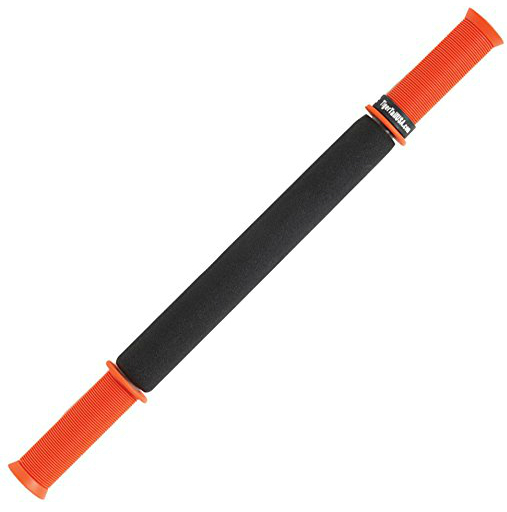 It offers deep grip and friction on muscles to effectively remove knots. The ergonomically designed tool is easy to use and provides consistent pressure distribution to sore, tight muscles. The handheld roller is available in multiple sizes. It is an Amazon's Choice product, an Amazon best-seller, and a "Top Rated" product with more than 900 five-star reviews on Amazon. It is frequently recommended by athletic trainers, personal trainers, doctors, chiropractors, physical therapists, and massage therapists. It is also backed by a three-year warranty. 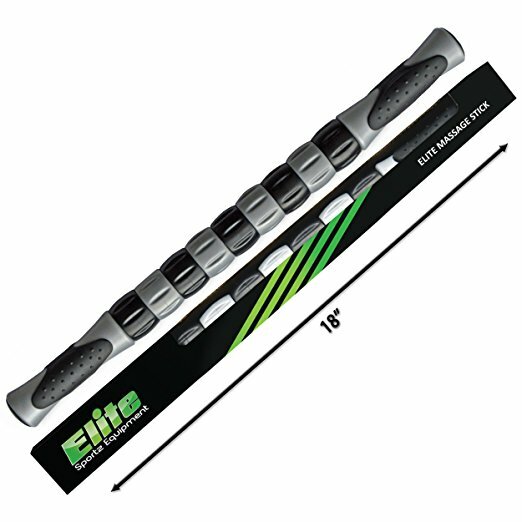 The compact Elite Sportz Massage Roller Stick is sturdy, lightweight, and smooth rolling, allowing you to pinpoint problem areas and provide as much pressure as you need. It can increase blood circulation, prevent cramps, and relieve muscle soreness, tension, and tightness. The myofascial release tool has comfortable handles, so you can control the pressure on your leg muscles. The muscle roller stick is an Amazon best-seller and a "Top Rated" product with nearly 3,000 five-star reviews on Amazon. It is also backed by a money-back guarantee. Amazon's Choice for myofascial release tools, this Top Rated Muscle Roller Stick is a great sports massage tool for releasing myofascial trigger points and reducing muscle soreness, tightness, pain, and cramps. The 18-inch massage stick has hand grips, allowing you to easily apply the right amount of pressure. The therapeutic roller tool is frequently recommended by physical therapists. It is an Amazon best-seller, has more than 2,500 five-star reviews on Amazon, and is backed by a 100% money-back satisfaction guarantee. 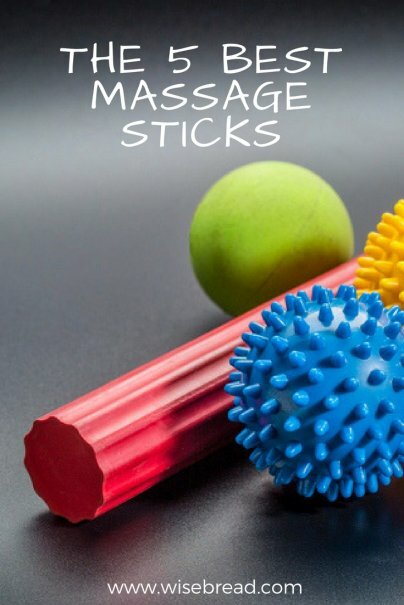 And those are our recommendations for the best massage sticks. As always, be sure to check Wise Bread's Buying Calendar to learn when and how to buy just about anything!